Is consuming bovine collagen daily safe? May sound crazy, but adding powdered connective tissue from cows and chickens to your morning coffee, smoothies, oatmeal or juice is suddenly super-trendy among the health conscience crowd. Proponents of collagen say not only does it deliver a wallop of protein, but also soothes achy joints, improves gut health and the ultimate claim, “reduces the appearance of fine lines and wrinkles”. Bingo! A promise to make us look younger. I hear big $$$$$$ and a marketing machine willing to tell us anything. This newsletter is in no way an attempt to pick on anyone for trying to look younger. Everyone who knows me intimately knows it’s a concern of mine. I have giant sympathy for all of us women. I know that there are some of us who can relax about the whole affair of aging, but although I have gotten more comfortable with ‘me’ over the years and some day I may surrender…..confidentially, now is not that time….. not yet. WHAT ON EARTH IS CONSUMABLE COLLAGEN? 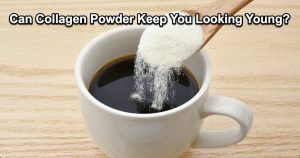 What I’m really concerned about with Collagen Supplementation is One: How they get cow hide, with all the fat and hair on it, into a crystal white powder that melts easily in hot and cold drinks? And Two: Is consuming bovine collagen daily safe? It’s so easy to market to us where we are most vulnerable, and anything claiming to be anti-aging can get us to do things without asking enough questions. I’m just opening the conversation, asking that we think things through in our quest to look our best. Because we don’t want to give our health away on a trend and regret it later. Our own collagen is the protein that makes up to 75% of our skin. The collagen in the average woman starts to break down beginning at age 20, which seems a little unfair, since if we live to say age 80, that’s a lot of stressful years in an age phobic society trying to slow down the hands of time. Researching, I found pages and pages about the wonders and benefits of consuming collagen from marketers. How hide collagen is considerably higher in collagen then collagen made from bone or muscle. Jennifer Aniston told the world she added a collagen-containing powder derived from cow hide to her morning smoothie. Women in LA are wildly adding scoops of it to everything, including dirty martini’s. Of course it’s on the news. Dr Oz, who will pitch anything to keep his ratings up, is pushing collagen. All this attention to one product may make you feel you are the crazy one for not getting on board the collagen fountain of youth train. In most cases, if you’re buying a bovine collagen peptide powder, you’re buying “hydrolyzed type I collagen” that has been extracted from cow skin. Hides are put in a lime slurry pit for up to 3 weeks, then transferred to boiling water, desiccated in drum driers, pulverized and sold to companies that make what are then called “nutricosmetic products”, to the tune of 7 billion dollars a year (Ding Ding Ding!). The argument for consuming collagen is that our “nose to tail” eating ancestors got their collagen by consuming the “odd bits” of animals. Eating modern day processed collagen is our chance to conveniently fill this missing link. The idea is once the collagen enters the body, collagen fragments trick our own collagen factories into becoming more active. That you can kickstart your own collagen production is seductive. When you talk to nutrition scientists, they’ll tell you one of the biggest mistakes they hear when it comes to food and supplements is assuming that something you swallow turns into the same thing in your body. That’s not really how digestion works. At a time when we are finally cutting back on the copious amounts of animal protein that we have been consuming over the last 65 years because it’s harmful to our health, what are we doing ladling this dubious protein product into our coffee and beer? And I thought many of us were finally embracing, at least part time, veganism so that animals would suffer less? Isn’t this a bit regressive? Most collagen is sourced from factory farms called CAFO’s, in which over 1000 “animal units” are raised in confinement for a period of at least 45 days. > Drink eight glasses of spring water per day. Water flushes toxins from the skin and promotes collagen fiber formation. > Do consume fresh plant-based foods high in Vitamin C. The mineral vitamin C is an antioxidant needed for skin health and collagen production. The heating process kills 80% of Vitamin C. So stick to organic fresh kale, spinach, tomatoes, beets, flaxseeds and avocados. 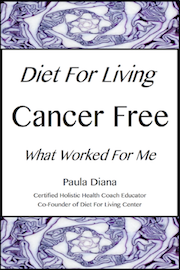 We suggest research….ask a million questions…..re-learn the science of the body and how living foods work to reverse aging and help you live a long disease-free life. JOIN THE HEALTHY FOOD REVOLUTION! Our Next 100% OnLine Class Begins Summer 2019! Program Date To Be Announced. And Transformative For You And Your Clients!